Is it 2014? 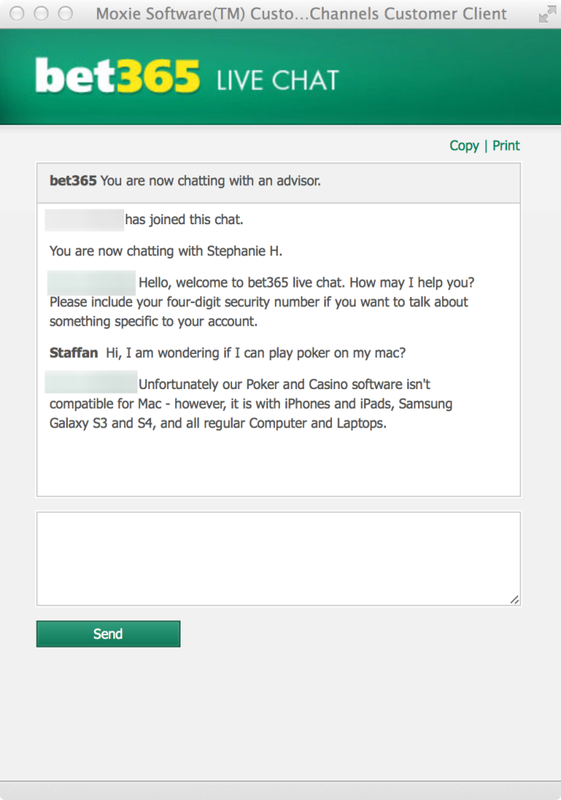 I wonder since I’m not able to play poker on my mac! The igaming industry never finish to amaze me. Both in good and bad ways. Today it was in a bad way. I wanted to play some poker so I went to a few igaming sites and tried to play. Guess how surprised I was when I couldn’t play on a bunch of them. All because I am using a mac! To me this is really a lack of user experience. What are the gaming operators thinking? It could not be about their customers (players)! Maybe the igaming operators have signed long contracts with their suppliers? But user experience can not be a part of the RFP, if it was then user experience should be one of the criterias! Well I am a lost poker player for a number of igaming sites! Image 1. Chat with William Hill.